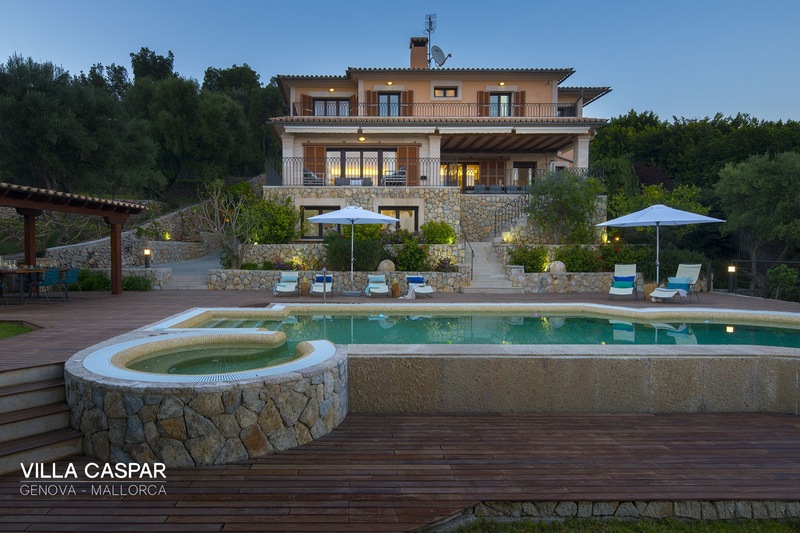 Luxury 6 Bedroom, 5 Bathroom Villa with Sea View and a Private Swimming Pool , Air Conditioning, WiFi, Jacuzzi, Satellite TV, near Golf, Sleeps a maximum of 12 people. 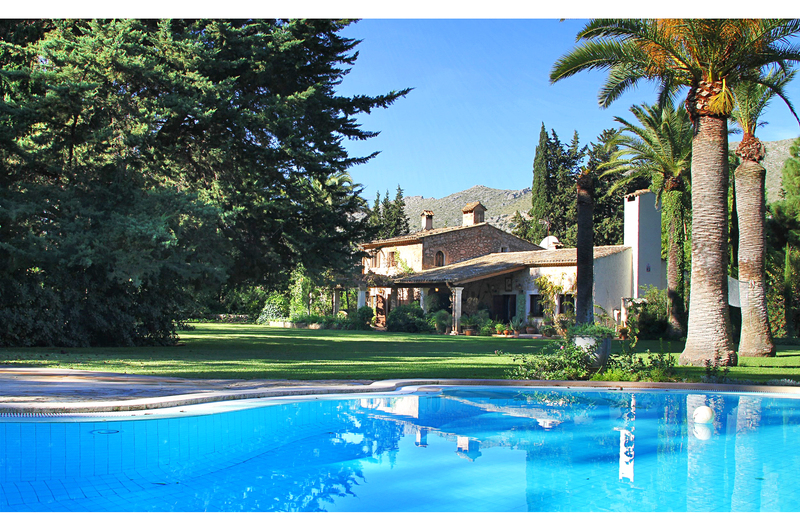 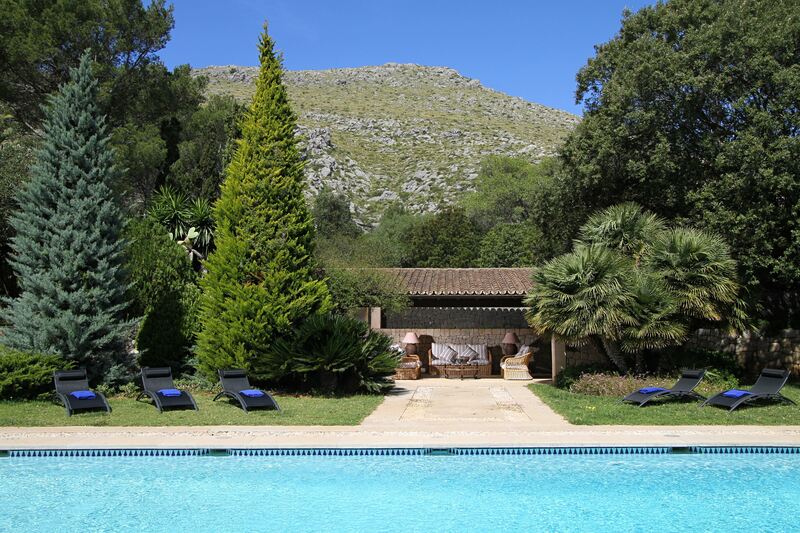 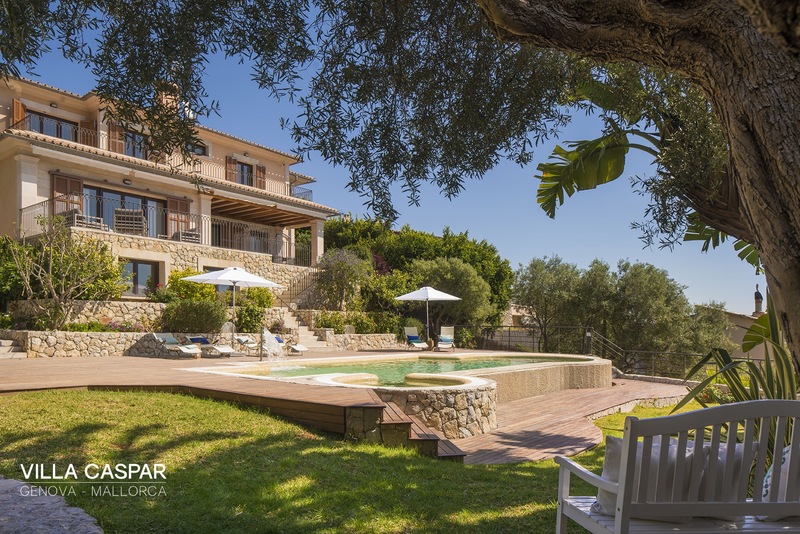 Villa Caspar is a beautiful, luxurious villa located in the trendy locale of Genova, just a short distance from Mallorca`s capitol, Palma. 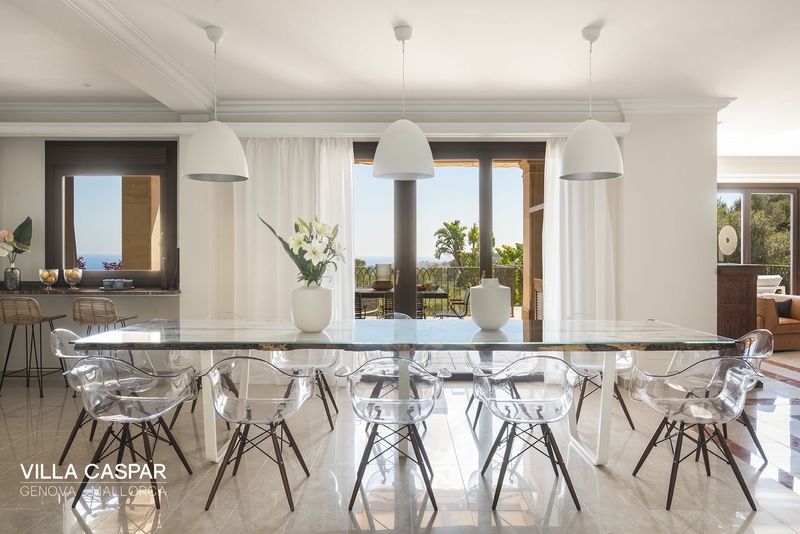 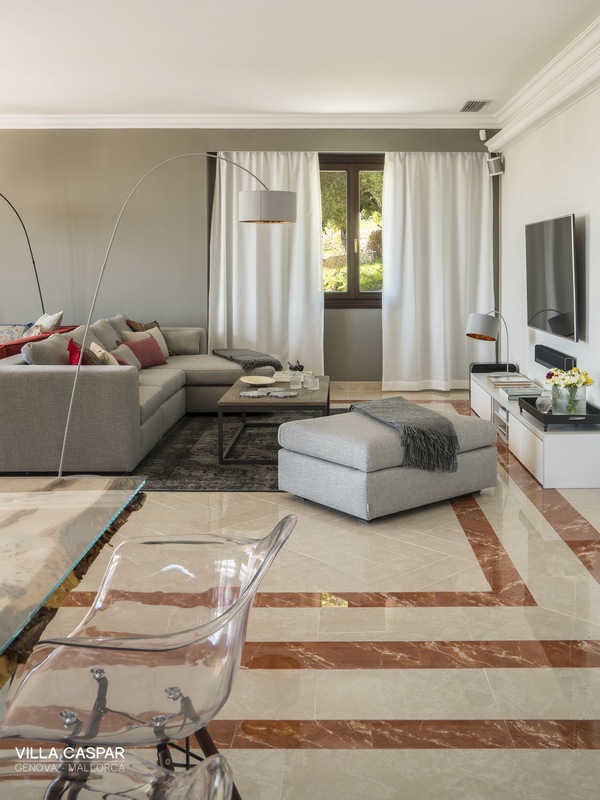 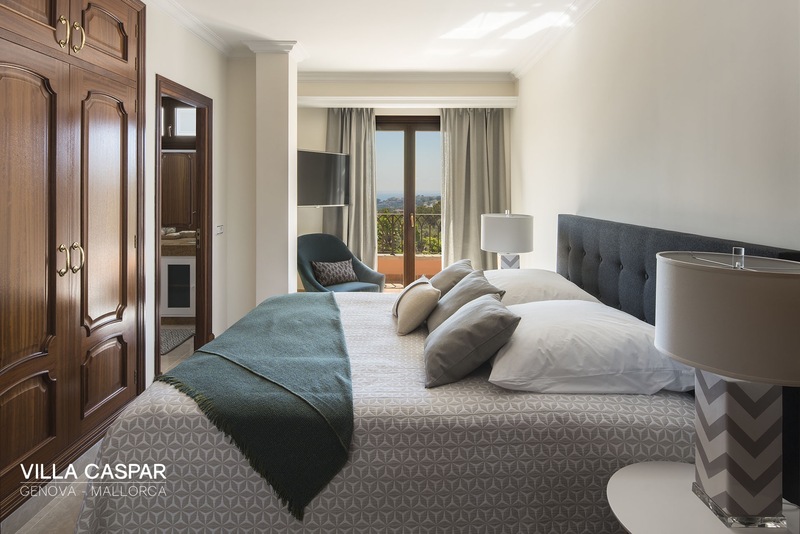 Meticulously decorated by distinguished interior designers, Villa Caspar`s interior is a modern take on Mallorcan living with an astonishing amount of detail which is guaranteed to leave you stunned. 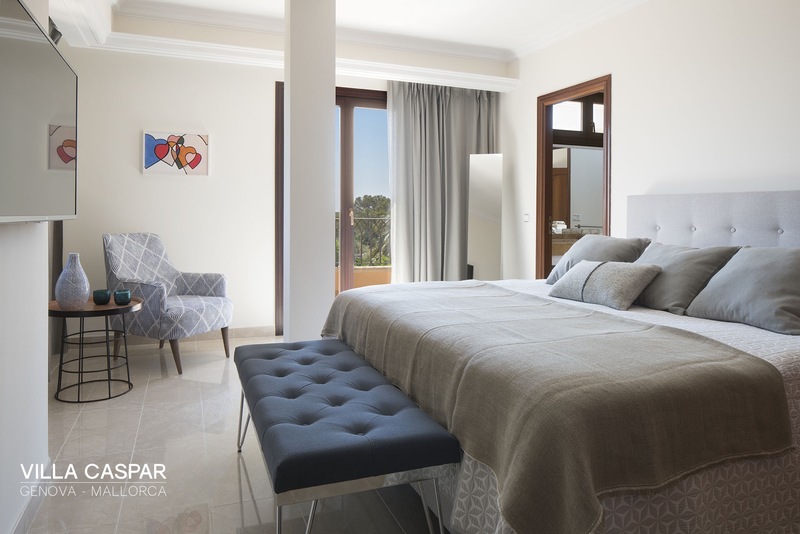 High class furnishings, fittings and finishes include the likes of Urbanara and Sitzfeld, making sure that your holiday is spent in the utmost comfort. 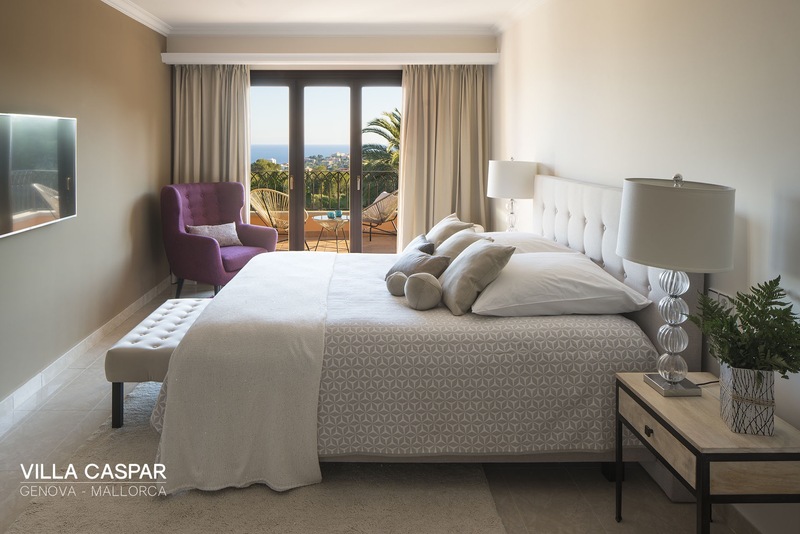 All bedrooms have high-end TVs, king size beds and and en suite bathrooms, meaning all guests are welcome to as much privacy as required. 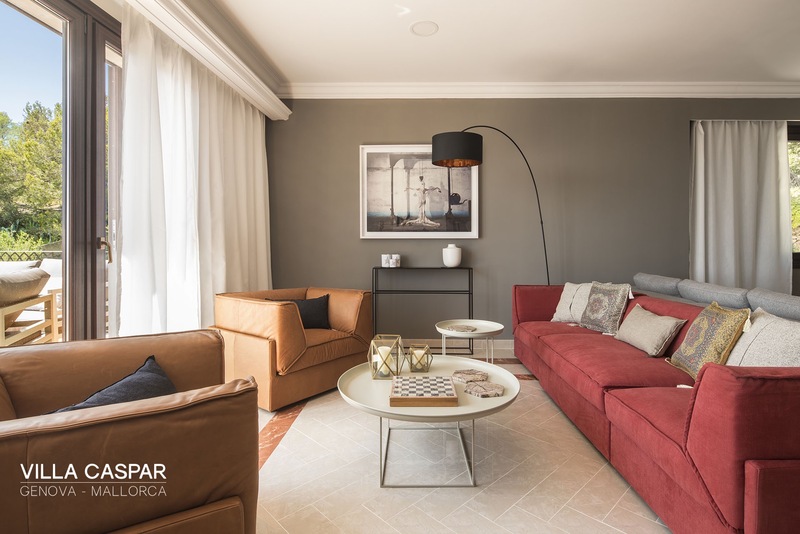 Downstairs the living area is a bright and airy open plan space, with the lounge, dining area and kitchen flowing from one to the next. 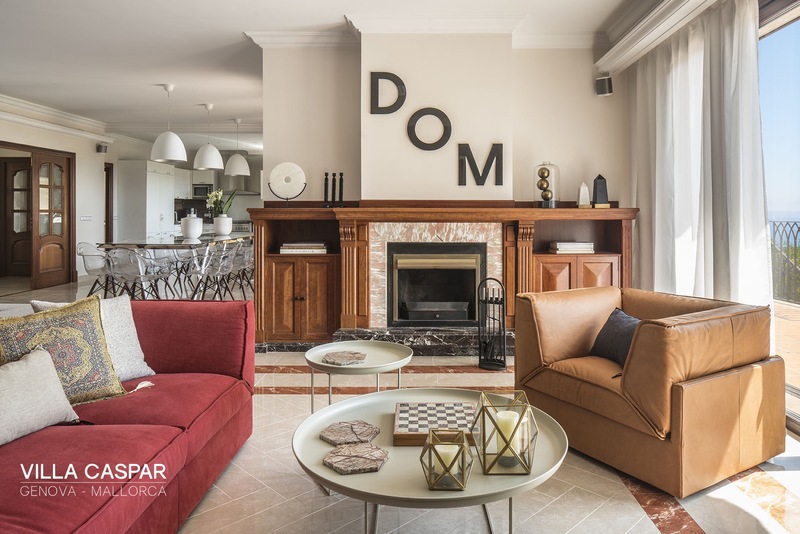 The comfy sofas and lounge chairs are perfect for sinking into for a well deserved rest, and the fireplace creates the perfect atmosphere to get lost in a good book. 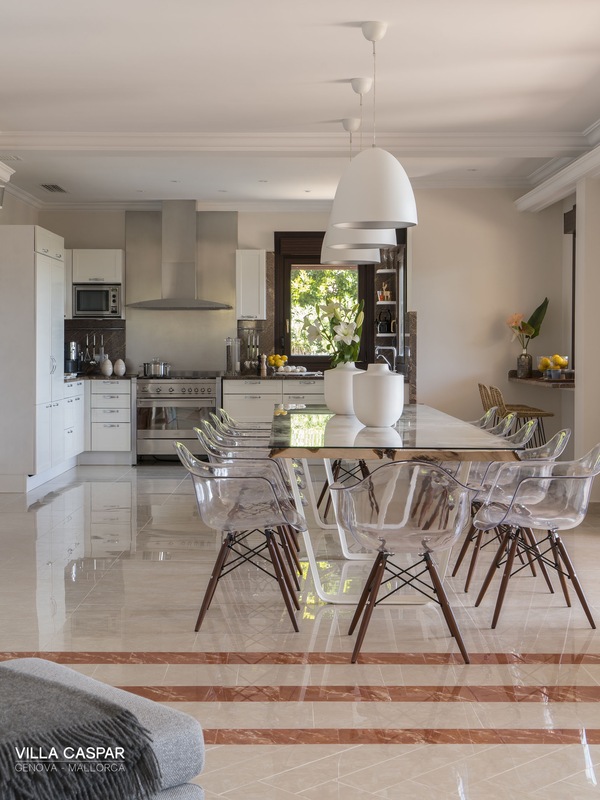 Villa Caspar`s kitchen is fully equipped and ready to meet the needs of any enthusiastic chef looking to try their hand at taking on the local cuisine. 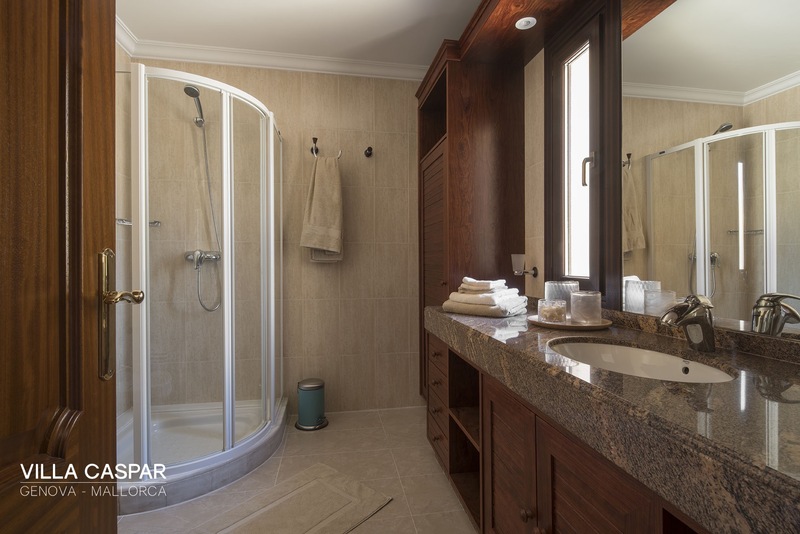 All mod cons are included of course! 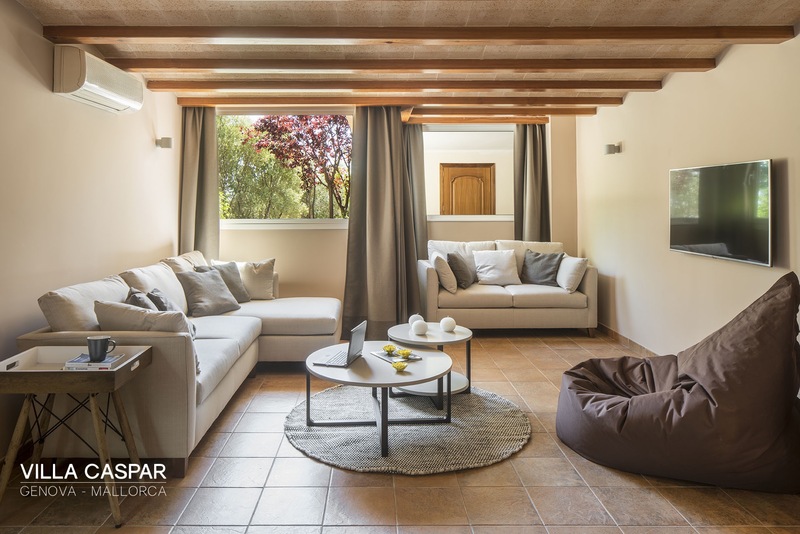 Keeping up with the high standards, Villa Caspar has a superfast 300mb/s fibre optic WiFi connection and a SONOS sound system present in both the living area and garden. 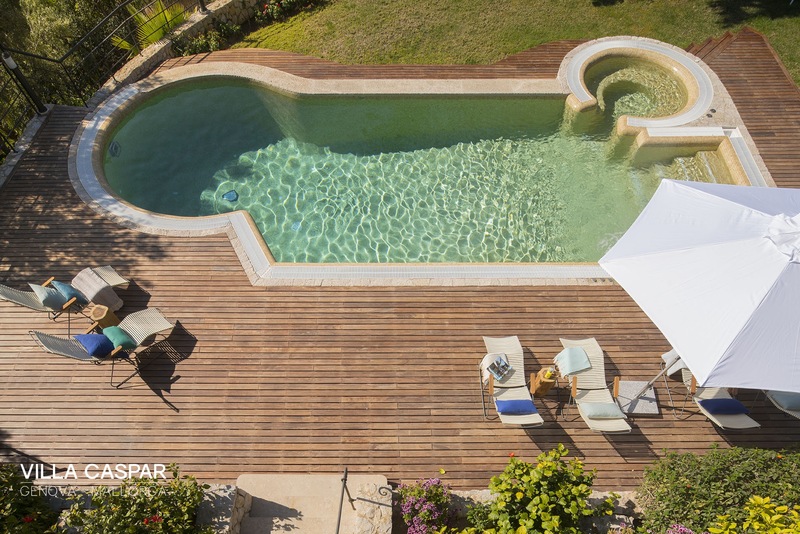 Outdoors in the garden you`ll find the large 50 sqm swimming pool, surrounded by decking and it also incorporates a Jacuzzi with massage jets. 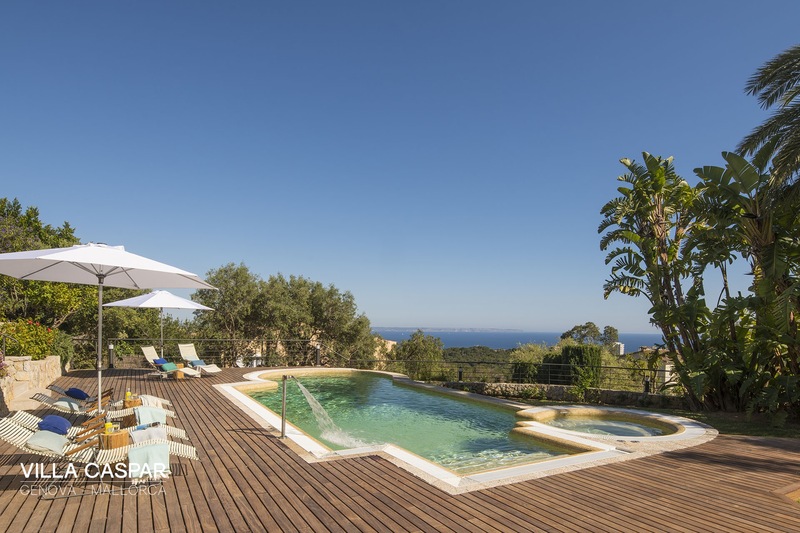 If that wasn`t enough, the pool also has a counter current so you can keep fit whilst enjoying the stunning sea views. 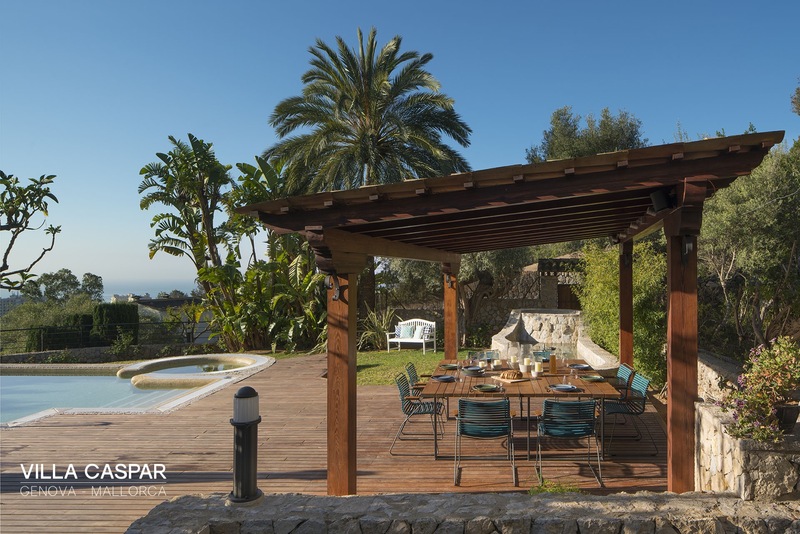 There is an outdoor dining area for al fresco meals whilst watching the sunset. 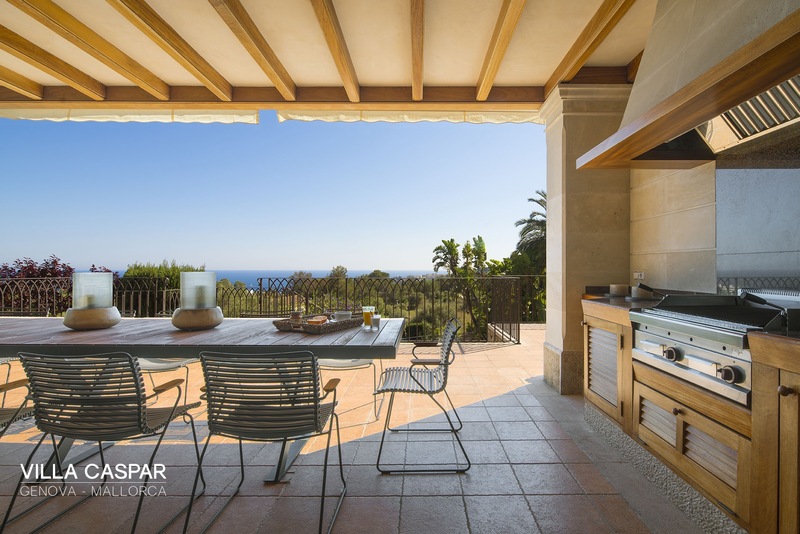 The last string to Villa Caspar`s bow is the separated grand salon on the ground floor, which has a fully-equipped kitchen - including a pizza oven! 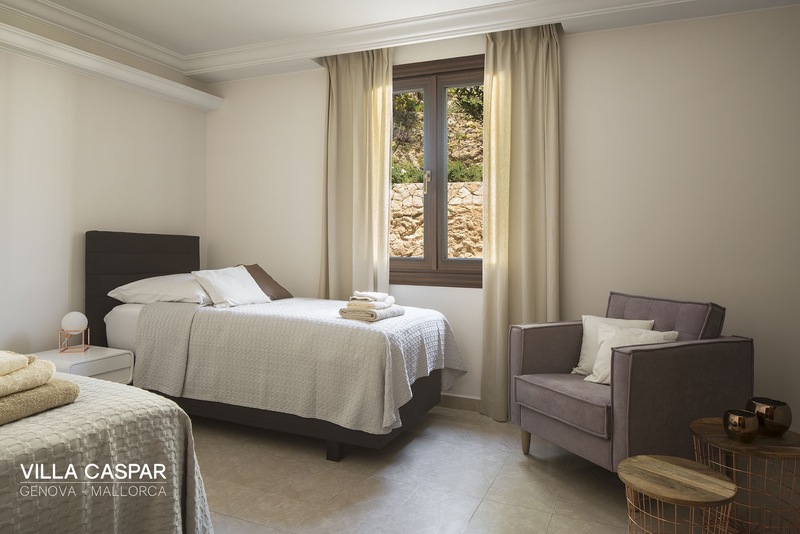 This space can host an additional four guests on two queen sized sofa beds.